Rorstrand Swedish Christmas plates for sale. Buy at Danish Porcelain House. Plate with "Fredrik Thorsson 1865-1925"
Plate with "Hjalmar Branting 1860-1925"
Following the Great Northern War Rorstrand was founded in 1726 in Stockholm during the Swedish Age of Liberty in responce to an appeal from King Frederik I. Rorstrand is the second oldest porcelain factory in Europe still in existence and one of the oldest factories in Sweden. In 1873 Rorstrand established the factory Arabia in Helsinki for trade with Russia. Gothenburg Porcelain Factory was bought in 1914. Rorstrand moved there, when their factory in Stockholm was closed and demolished in 1926. From the onset of the 20th Century Rorstrand has had the chosen artists of the times affiliated with their factory. After merging with Lidkoping Porcelain Factory in 1929 Rorstrand started to relocate to Lidkoping. In 1931 the french-born Gunnar Nylund (formerly employed at Bing & Grondahl in Copenhagen) began work at the factory and the year after he was made head of the art workshop. He hired the talented designer and painter Carl-Harry Stalhane as his assistant. The relocation was completed in 1936, afterwhich Lidköping became the new headquarter of Rorstrand. Between 1963 and 1984 Rorstrand was part of the Uppsala-Ekeby group before being bought by the Finish firm Wärtsilä Oy in 1984. Gustavsbergs Pocelain factory was also bought by Wärtsilä Oy in 1987 and three years later in 1990 the company was bought by the Finish Hackman Group. Rorstrand has had many different artist through the years and has never compromised its quality, innovation or creative freedom. Rorstrand was supplied both the Swedish and Danish populations with beautiful and functional dinnerware. 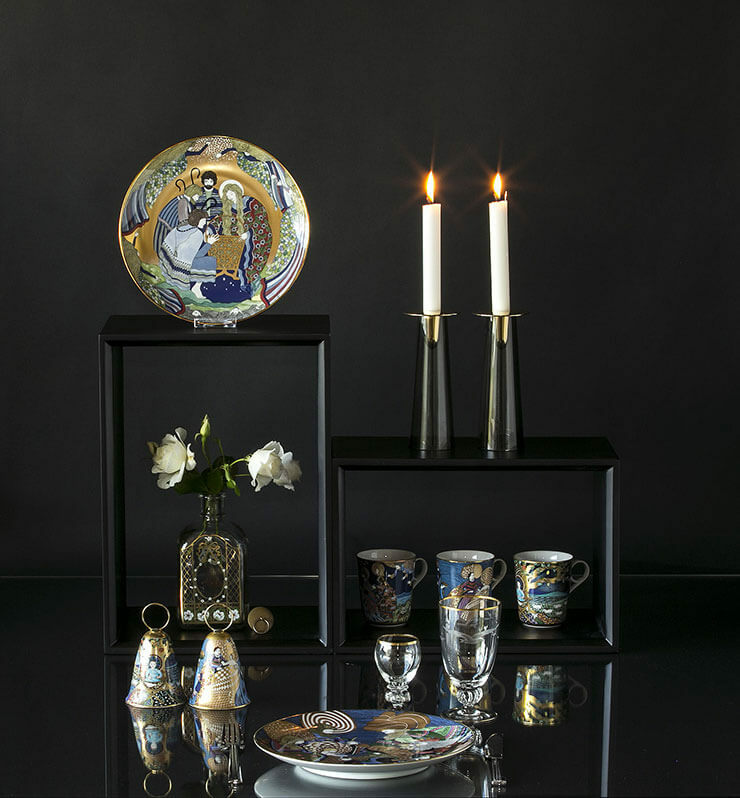 Rorstrand have produced dinnerware, vases, dishes, ornaments, Christmas and Mother's Day plates and much more. The production has encompassed both Faience, porcelain and stoneware etc. Presently porcelain is the main stable. Many of their products are accepted as classics today og are used and loved by people in many countries. The dinnerwares Sundborn or Nobél, the Cándia dishes or their Christmas or Mother's Day plates can be mentioned.